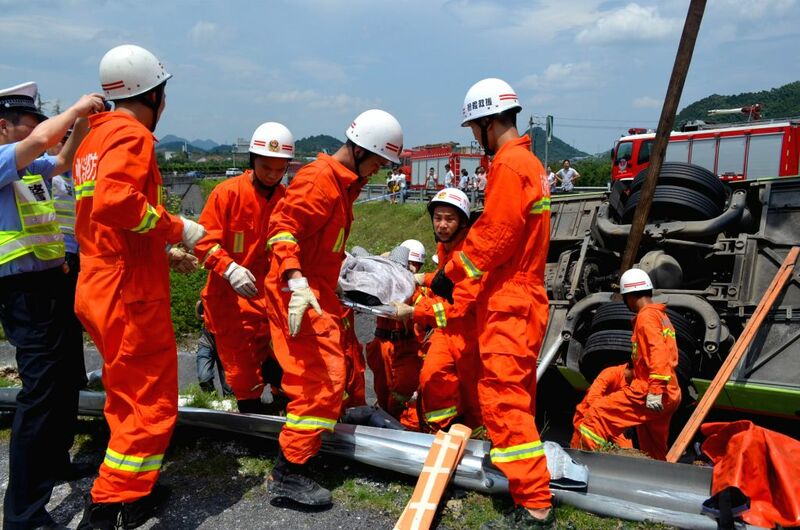 HANGZHOU, July 12, 2014 - Rescuers work on the scene of a passenger coach rollover accident along the Hangzhou-Huizhou highway in Hangzhou, capital of east China's Zhejiang Province, July 12, 2014. A passenger coach rolled over on Saturday along the Hangzhou-Huizhou highway, killing six and injuring more than 30 people, according to local traffic police. 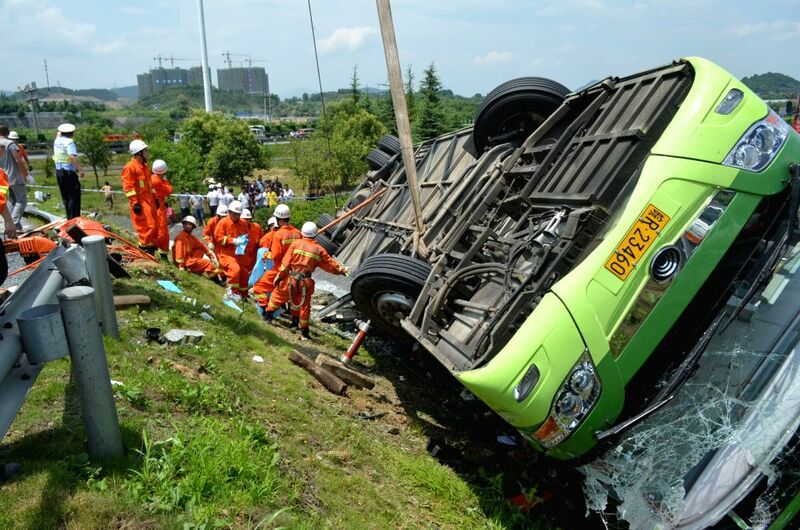 The coach turned on its side at 12:40 p.m. when driving down a ramp for Hangzhou. The injured have been sent to nearby hospitals for treatment. The cause of the accident is being investigated, police said.